Introducing ImseVimse’s newest print, Garden. 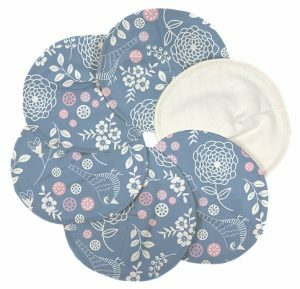 Garden is an soft 100% organic cotton flannel that is available in their Nursing Pads, Sanitary Pads and Washable Wipes. Here is the full ImseVimse Line. Or find them from your favorite Green Team Retailer. Enter below for your chance to win 3 pairs of ImseVimse Organic Flannelette Nursing Pads. This entry was posted in Blog and tagged Distribution, enter to win, Environmentally friendly, giveaways, Green Team Distribution, new products, Online shopping, Organic Cotton, Wholesale. Bookmark the permalink. I like that it is organic!!! The print and organic fabric.